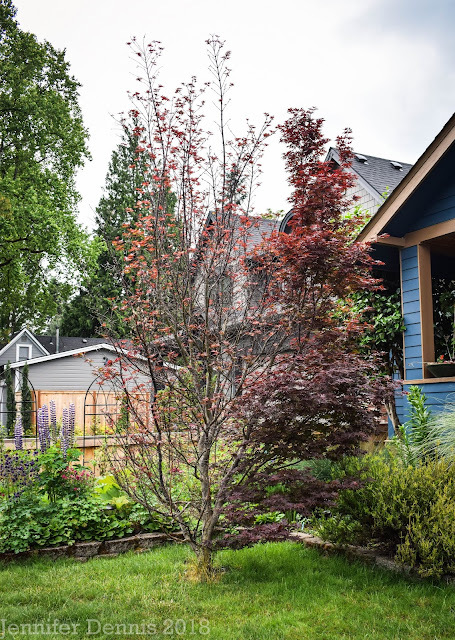 On this fine, dry and sunny Sunday morning, I was walking about the yard, taking inventory of blooms and projects in need and looked out onto the Columbia river. There, I caught a surprise and quickly snapped some pics to share. A tall ship with sails exposed to the subtle breeze gracing us this morning. What a lovely surprize this 'backwards' tall ship must have been this morning. I'm so glad you got to take pictures of it for us. Also, how lovely that you have such a nice water's edge view of the beautiful river from your place! Wow, talk about timing. A few minutes one way or another and you probably would have missed it. How awe inspiring. Thanks for sharing. 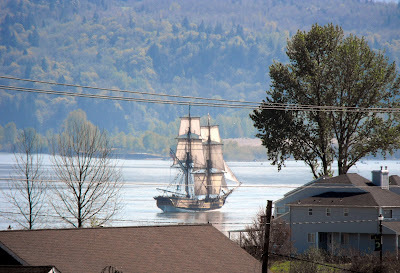 I believe that is the Lady Washington. I just wanted to pop over and let you know that you are the Winner in my Royal Wedding Pop Quiz! You Royal smart girl. I will pop the print in the mail in the next few days, CONGRATS!!! Makes me think of the Mayflower even if it is going backwards. How cool that you can see the river from your yard. 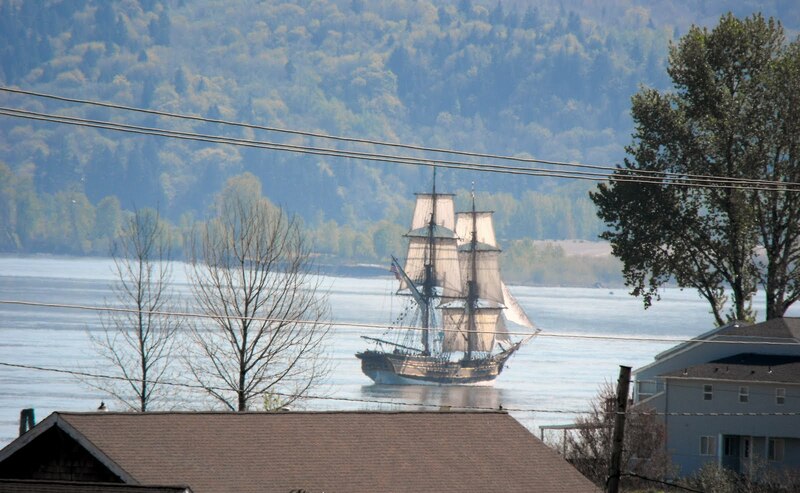 @ Sylvanna, I believe you are correct..the tall ships were docked in town giving rides on Sunday. A nice surprise. We've tall ships in Belfast every year, so interesting! kelli. I can't work that out either, but no wonder you were 'arrested'!